The products are strictly packed and dispatched safely to the client's stated address and that too in the committed time span. Development of modular control inside our warehouse helps in the proper organization of the products and ensure complete safety while storage. The entire system is properly managed by our warehousing experts. 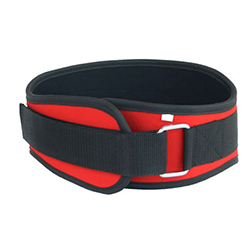 WB-1002 Neoprene Belt has high flexibility with excellent dimensional accuracy and a long service life.